Is Sony Xperia Z the best phone of 2013? Home / Cool Gadgets / Is Sony Xperia Z the best phone of 2013? I was reading about top 5 mobile phones presented at CES 2013, and every cell phone blog is writing about the new Sony Xperia Z as the new kid in town. I guess Sony finally decided to implement their high-end product philosophy into their cell phones. Before seeing more details about Xperia Z, you should know that future cell phone trends focus on 5 inch display. The Sony smartphone has a 5-inch Reality display with a resolution of 1920 x 1080 pixels and a density of 441 ppi. The camera has an impressive resolution of 13 megapixels, and features autofocus, HDR, 16x digital zoom, Exmor RS sensor and Full HD recording. With HDR technology (High Dynamic Range) on board, users can capture photos and videos more clear than ever. Sony Xperia Z is equipped with a quad-core Snapdragon S4 Pro clocked at 1.5 GHz, 2 GB of RAM and 16 GB storage space (which can be expanded with cards up to 32 GB by microSD slot). The smartphone runs Android 4.1 Jelly Bean. Xperia Z will be available in stores in March 2013. You will find it in three versions: black, white and purple. The Japanese manufacturer has not announced the price for it, but the rumored prices is around $650. 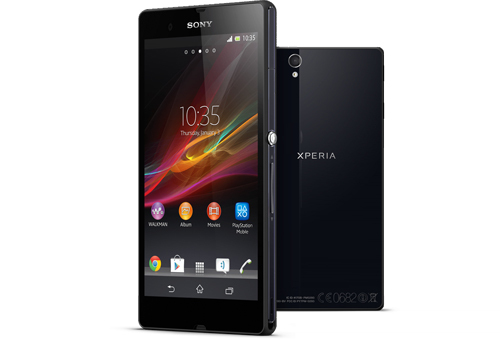 Xperia Z is definitely the most powerful smartphone Sony has released until now. Although many say that it could be an alternative to the iPhone 5 and Galaxy S III, I think that it could become the best phone of 2013. It all depends on their marketing campaign and the way customers react to it. The specs are outstanding and I’m thinking about getting one. As cons, I was hoping to see a custom interface for it (like the one used in HTC One X). Maybe they will do something about this by the time it will be available for us.